Out on a walk with Dylan this morning, I noticed a sweet fragrance in the air and discovered that things were happening in the cactus garden next door. 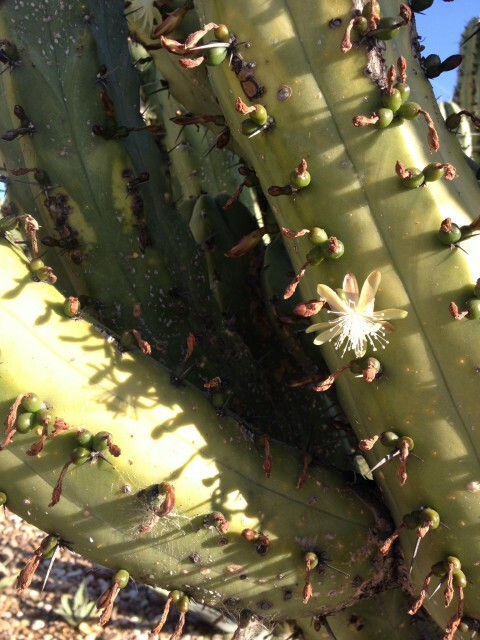 The cactus were full of buds and beginning to bloom. The flower is delicate and dainty, not bold and bright as one might expect. What a beautiful aroma coming from such a prickly source!